President Trump’s latest nomination would give the Supreme Court the conservative majority Republicans have been promising. And the GOP has enough Senate votes to confirm Judge Brett Kavanaugh, who has the legal qualifications. But, even if Democrats can’t prevent his appointment, they promise a fight. They’ll use Kavanaugh’s extensive record to dramatize hot-button issues for this fall’s midterm elections. 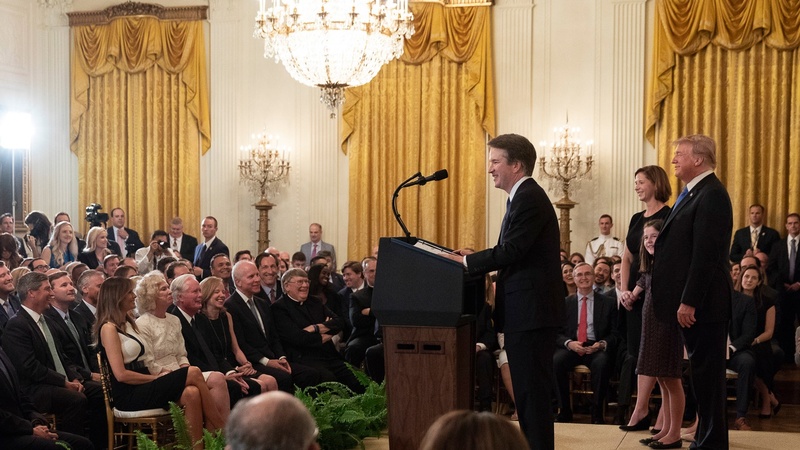 President Donald J. Trump nominates Judge Brett M. Kavanaugh for the United States Supreme Court. Photo Credit: D. Myles Cullen.